The ground shook, frightening the small family. 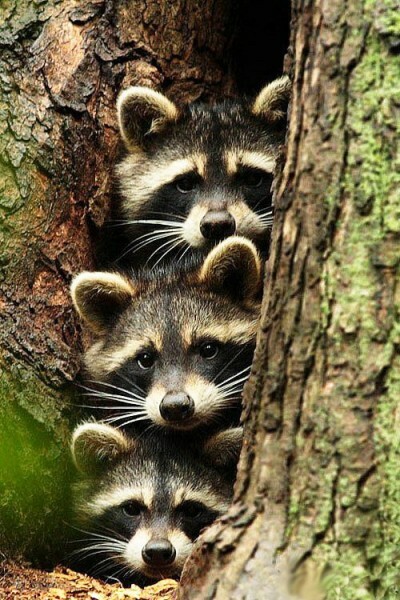 The raccoon family lived in the hollow of a tree which swayed dangerously in the earth quake. “Momma! Make it stop!” exclaimed Chase. “Chase, I wish I could. I’m not making it move.” Momma answered. “Hang on everyone! shouted Daddy. There was a terrible Crack and the tree tilted to the right—kept going and fell with a mighty thump. It bounced a few times until all was still. “Day are you alright?” asked Daddy. The five of them huddled together to sleep the rest of the morning away. They had full stomachs form the tasty meal Daddy had brought back late last night. They had finished eating right before the first tremor of the earth quake. Daddy woke and wiggled out from under two of his kits. Standing out of the fallen tree he stretched and then went in search of a new place to make their den. The whole area had been damaged by the quake, therefore many animals were displaced. Some animals made their homes in dens burrowed out of the ground. Others took over evacuated dens, hollow of trees, or caves. Raccoons needed space in any of those things. Daddy thought this would be easy to find, but it was proving difficult. When he thought he had found a nice place, it became clear another animal had already claimed it. One tree hollow look promising until he realized it had a swarm of bees living far back in a crevice and sticky honey was seeping out. He didn’t want his little kits stung. It had gotten late and he needed to find some food to feed his family. He captured a few mice and took them back to the fallen tree. The kits were digging around and eating a few worms that had been unearthed. Daddy dropped the rodents on the ground and the five of them split the taste morsels. “I’ll have to go out tomorrow and search for a decent dwelling. It’s incredible how many places are damaged. Animals are searching high and low for a place. I climbed dozens of trees looking for a hollow. They were either occupied or uninhabitable. I’ll go north tomorrow." “I’m sure you will find other raccoons to play with or maybe other animals. This will be a fun adventure.” said Momma. “Stop it both of you. We need a place to stay and the place I found is nice and comfortable. 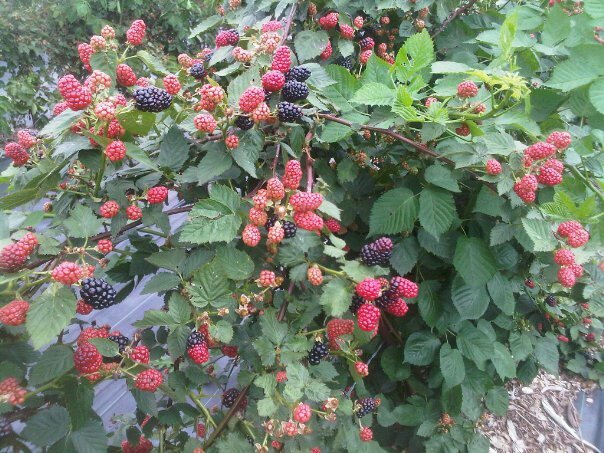 There are berry bushes near. An owl has a nest higher up the tree so you will be able to hear its hoot. It will be great, just you wait and see.” said Daddy. The five of them started out for the new location. “We sure are going far.” whined Chase. After another half hour, they came to an enormous tree. Daddy scaled the tree first, leading the way. Chase went next, followed by Day and Hazel, while Momma brought up the rear. About three quarters up, Daddy darted in and was out of sight. “I guess it’s all right. It is large. Now, Day won’t have a reason to kick me. But this tree is so far from all my friends!” Chase covered his face with his paws. He didn’t want Daddy to see his tears. “Momma, can I have this place way back here?” asked Hazel. “Now that that’s settled, let me show you the bush I was talking about and we can eat a little, then nap before we hunt for food.” said Daddy. The five squired down the tree. The bush was also quite large and had enormous clumps of berries on it. 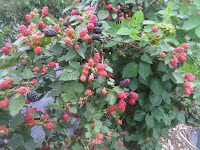 The berries tasted sweet with just a little tartness. The kits devoured many before daddy said they needed to get some rest. Their nap went by in a flash. Hunting proved and easy task too. “Is this a magical place?” asked Day. “Ha ha ha!” laughed Daddy, “It does feel that way, doesn’t it? I’m glad things have turned out well on our first day. 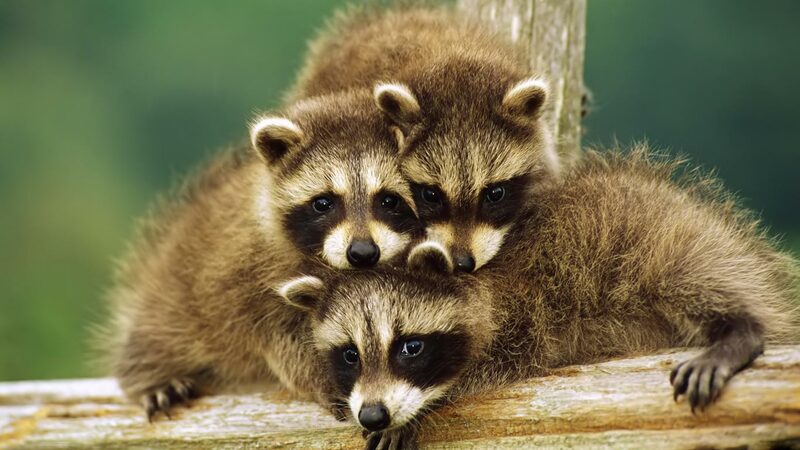 Life will get back to normal and I’m sure we will find other raccoons to enjoy company with. The kits settled down when they heard their parents coming into the den. Chase cried himself to sleep. Girls and boys, what do you think will happen? Do you think Chase will make new friends? Will the kits get used to their new home? Moving is difficult and sometimes frightening. The Lord wants us to trust Him and our parents during this and other difficult times in our lives. Find out if Chase, Day, and Hazel adapt to their new den in the hollow of the giant tree in our next lesson. Please start memorizing this verse: Isaiah 41:10 Fear not, for I am with you; be not dismayed, for I am your God. I will strengthen you, Yes, I will help you, I will uphold you with My righteous right hand.